Montpellier is a beautiful and unique city and this website attempts to capture that beauty and provide information on some of the many locations and attractions in Montpellier, whether for tourists or residents. This site focuses on the Écusson (Centre Historique) - the historical city center, now a pedestrianised area. 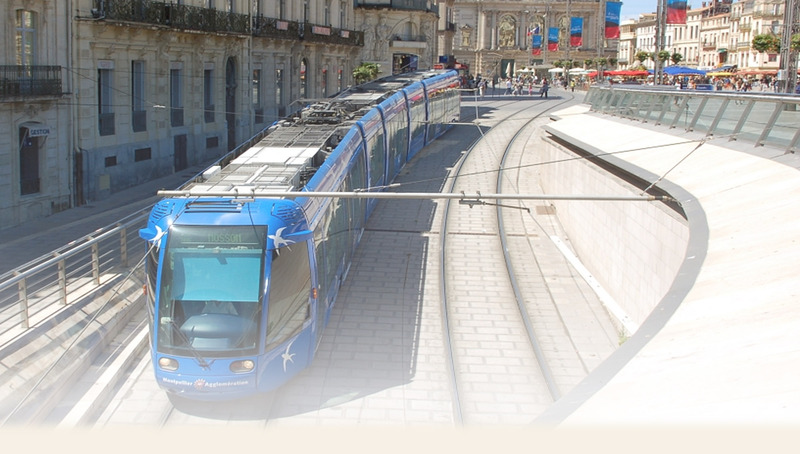 This website includes French and English information about Montpellier, including activities for children and adults, homeschooling and travel information, and useful links to other Languedoc Roussillon sites. Click an icon in the map for details of a specific shop or attraction. Nestled between the Mediterranean sea and the Cévennes mountains, Montpellier is a city well-worth visiting in the south of France. Over the centuries it has been shaped by a variety of influences from merchants and scientists to students and start-ups. As a mid-sized French city with a population of 272,000 people and the largest percentage of students per capita in all of France the youthful and diverse nature of this unique French city is apparent to all. Blessed with 300 days of sunshine per year and mild seasonality Montpellier is enjoyable at any time, but especially popular in the summer. When first visiting the city it is best to take time to wander through the historic city center, known locally as l'ecusson. Most historic sites are within a large pedestrian zone making it easy to discover the observatory tower, cathedral, botanical garden, and arc de triomphe on foot. These sites are connected by a charming series of winding narrow streets. While the historic center was developed largely between the XIVth and XVIIIth centuries, it is worthwhile to also experience the contrast of Montpellier’s more modern neighborhoods flanking the river Lez. The Antigone neighborhood is famous for its one of a kind Greek revivalist architecture and serves as a lovely passageway to the riverside. Across the river lie many interesting modern buildings conceived of by some of the world’s top architects. After walking through Montpellier by day it is best to stay out and witness the city transform after sunset and play host to a scene of vibrant nightlife. The city of Montpellier draws tourists each year, but most tourists actually come for the beaches. There are beaches for all types of activities and interests, all about 10km away. Villeneuve-les-Maguelone has the most natural and preserved beaches in the area. Meanwhile the beaches of Carnon and Perols have restaurants and cafes where one can enjoy the view while indulging in creature comforts such as the region’s fine wines and seafood. L’espiguette is a wide beach perfect for long walks and beach sports such as kitesurfing and paddle boarding. All of these beaches are accessible by a combination of public transportation and light walking (less than 3km). After the city and the beach it is a good idea to escape to the backcountry and explore the many charming and adorable Languedocienne villages. St. Guilhem le Desert, a UNESCO recognized site, is one of France’s favorite villages and for good reason. It is picturesque with winding hilly streets, a river for swimming, and happens to be a stopping point on the spiritual hiking path of St. Jacques de Compostella. Surrounding the villages are many vineyards offering tours and tastings of local wines which have been steadily growing in notoriety in recent years. All in all Montpellier has something to offer for everyone and proves to be a fantastic destination for tourists of all types. From former students looking to reconnect to a city where they once flourished to the wealth of business conventions choosing to meet under ideal weather conditions; Montpellier is a carrefour of cultures and landscapes that attracts and shines as a Mediterranean jewel.